Happy Friday friends!! Can you even believe that August officially starts tomorrow - crazy! My parents are visiting so we'll be spending a lot of time with them and hopefully cooling off by the pool since it's been uncomfortably hot! I think it's just preparing me for the sweat storm I'm going to be in next week in Charleston! 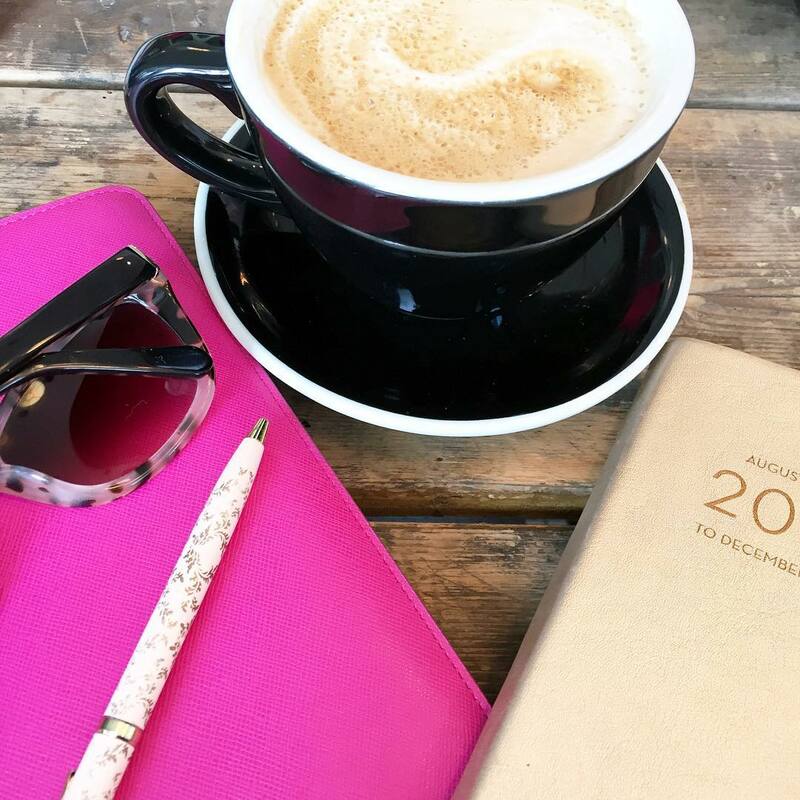 Linking up with Amanda and April to share my favorites from the week! I know the song King has been out for quite some time, but I just heard it again for the first time in a few months and I love it all over again! I dare you to not bop along to it! How Summer perfect did Reese Witherspoon look this week! Fedora, polka dots, white jeans and wedges - she's like a walking fashion blogger! If you didn't love her before - then you will after this post! This would be perfect in small spaces when you just don't have the room for a vanity. I would 100% have this in lieu of the dresser that currently has my makeup on it! 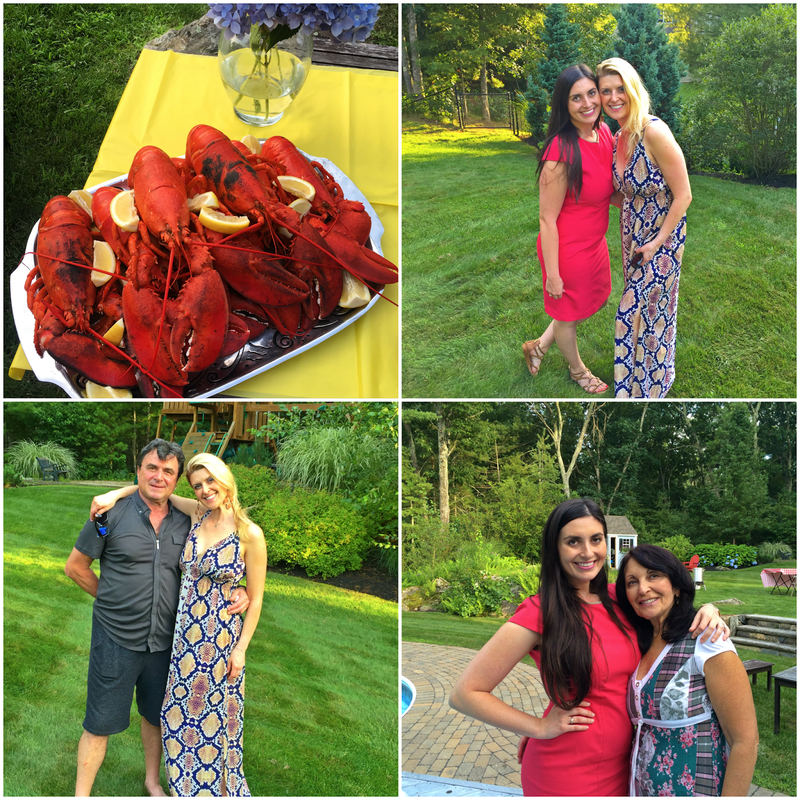 It was my sister's birthday this week so we celebrated in true New England fashion with a lobster feast! Clearly I didn't get the memo for the laid attire for the night since I came straight from work! //I have some serious closet envy with Khole Kardashian's entire one dedicated to her workout clothes! //You can still eat healthy on the run at Starbucks - I want salad bowl stat! //Under the sink is a mess - but I want to try to organize it very similarly to how I Heart Organizing did hers. Hope you all have a wonderful weekend and I'll see you back here Monday for Weekending! I can't believe tomorrow is August! Hope you have a great time with your parents this weekend! That lobster looks amazing (there I go talking about seafood again! haha). Hope you have a great Friday and an easy weekend! I cannot wait for my next house...room for a vanity (floating or otherwise) is a requirement! Your summer night is about as perfect as it gets. My packing tips for CHS: bring your lightest, breeziest dresses! That floating vanity is such a good idea for small spaces! What a beautiful summer birthday night you had for your sister! And who cares if you're a little more dressed up because that red simply rocked! Isn't Reese just a doll!! And so are you! Hope you'll be getting some pool time, some peace and relaxation and have absolutely super weekend! love the floating vanity and the undersink storage. I think I need both. That floating vanity is SO cool! I love that idea. I am so obsessed with Khloe Kardashian's work-out gear too. I would die for that closet! Holy crap I would kill for KK's closet... filled with Lululemon please! So jealous you're going to Charleston, my favorite city ever! Love Resse's look in that pic! And that closet is what dreams are made of! Love this! I love how you matched for the party so fun and you didn't even know you did! hehe! Im leaving for charleston tomorrow maybe ill run into you!!! Darn you Reese for always looking like perfection. Can't I just be her? And damn. Khloe's closet is freaking ridiculous. I am so jealous! Love the eat healthy at Starbucks thing, I always get the baked goods lol! Happy Friday love! One more week! I too cannot believe tomorrow is August. The summer is just flying by. Have a great time this weekend with your parents. It's suppose to be one the best weekends we have had weather wise. Enjoy!! ha! i want a closet just for work out stuff. that is awesome and i've never seen that before. happy weekend, biana! I'm seriously dying for a makeup table!! I'm going to have to fit it in the new house somewhere. Love that pink dress girl! Hope you have a fab weekend! I really can't believe it's August…so crazy. This Summer has flown by. I really love Reese Witherspoon's outfit and those wedges are major. I hope you have a great weekend by the pool! I can't believe tomorrow is August, time is speeding by at a crazy speed! And yay for healthy eating at Starbucks, I may have to swing by there today for a cool lime refresher. Lobster is a perfect New England summer evening. Hope you have a fun weekend with your family! Oh my gosh...Khloe's close = WOW. So awesome! Love Reese's style as well! under my sink is always a mess - I definitely need help in that area. and oh my gosh, how brilliant is that floating vanity?! wait, Khloe has a separate closet just for workout clothes?! that's a bit ridiculous lol. Ah, Reese always looks fabulous though! I LOVE that Reese Witherspoon outfit. I've never really been a hat girl but I think I need to change that. So many cute ones out these days!! Reese always gets it right! Such a perfect summer look! Can I please have Kloes closet?! Have a great weekend! I seriously can't believe it is going to be August tomorrow! That lobster feast looks so good! And Chloe's workout closet is rediculous... I'm super jealous!! This year is just flying by! I can't believe it's August tomorrow!!! But I'm totally loving that song AND... Can Reese do anything wrong?? I think not!! Love it! Happy Friday girl!! I could seriously look at walk in closet inspiration on Pinterest all day! Ugh! So dreamy and I'm so envious! Enjoy time with your family this weekend!!! :) And don't you just love everything on 'I Heart Organizing' ?! I drool daily over her projects!!! OMG yes that closet! A lobster feast sounds amazing. Love Reese's look! Have fun with your parents!! I seriously need some under the sink organization, under my kitchen and bathroom sinks. The birthday dinner for your sister looks yummy!! 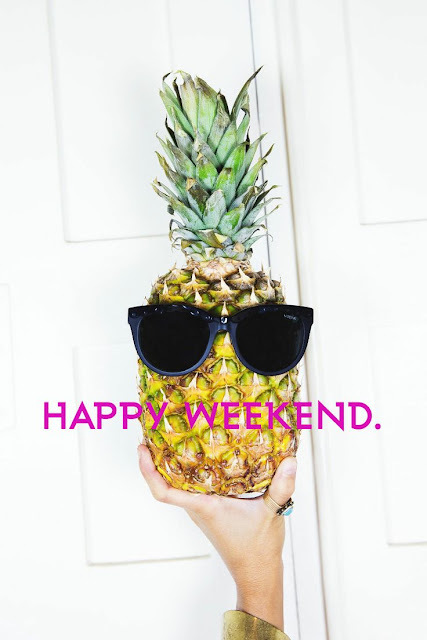 Have a fab weekend lady! You and your fam are too cute! A lobster feast sounds like a great idea! Have fun with your parents! Reese can never do wrong in my book with her look - she is just adorable!!! I had a floating vanity in mine and Ryan's first home (a rental rowhome straight out of college), and I thought I was so innovative for thinking of the idea - now with Pinterest, that totally burst my bubble. Ha! Reese's street style is so on point these days - she can do no wrong. Glad you had fun at your sister's birthday party, too! Have a great weekend! Oh I would loooooove a closet designated just for workout clothes! Now to scheme how I can make that happen someday... ;) Happy Friday! I just can't even handle that closet, it looks like an actual store! How does one even have that many pairs of sneakers?! I wish I had that for my regular clothes haha, I can't even imagine what that closet of hers looks like! So crazy that the end of July is here! 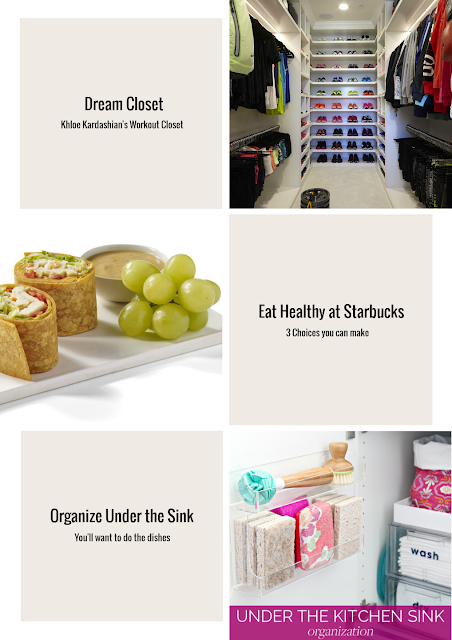 Checking out the healthy Starbucks list and I need that closet! In love! Happy Weekend! That floating vanity is really cool and I think I need that closet asap!! I'm so jealous of that workout closet! I hope your weekend is great! August? It's crazy! Hope you have a fabulous and cool weekend with your parents! Love that floating vanity! Makes me wish we had the room to put one in. Hoping one day to have that dream closet. I saw Kloe's closet the other night on E! News.... so so so jealous!! 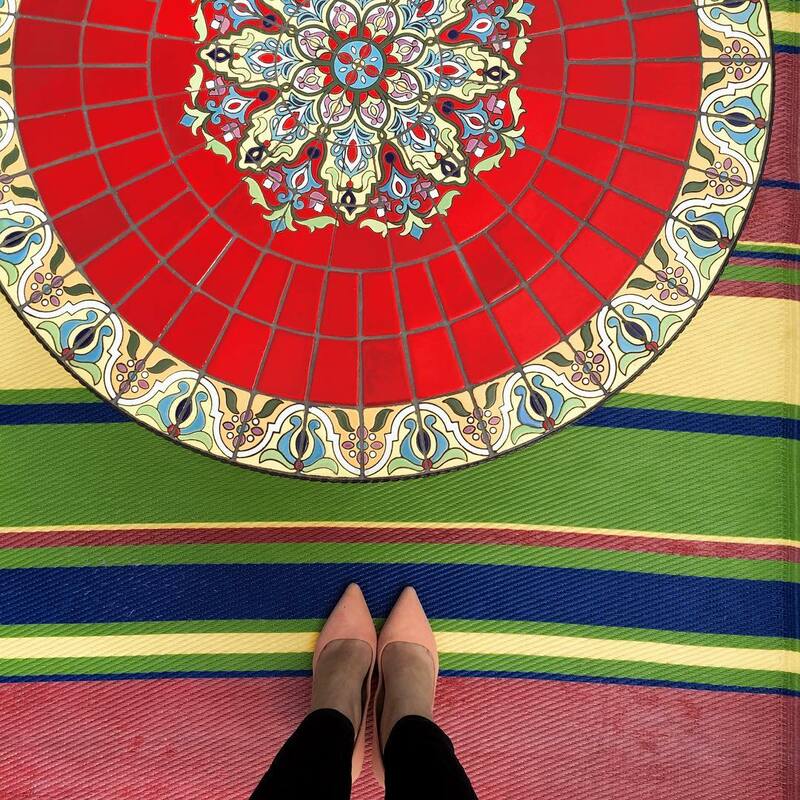 You'll have to insta during your Charleston travels so we can keep up with you. Reese always looks so put together! Happy birthday to your sister. A whole closet for workout gear? i wish! Enjoy the time with your parents – that will be so nice! Reese always looks amazing – I love her style. The lobster fest looks ah-mazing! Reese is never wrong, just never! What a fun, perfect New England birthday soiree!! You look so chic in your work outfit! Ugh under my sink needs some love!!! Love Reese' look. Have a wonderful weekend, lovely lady! 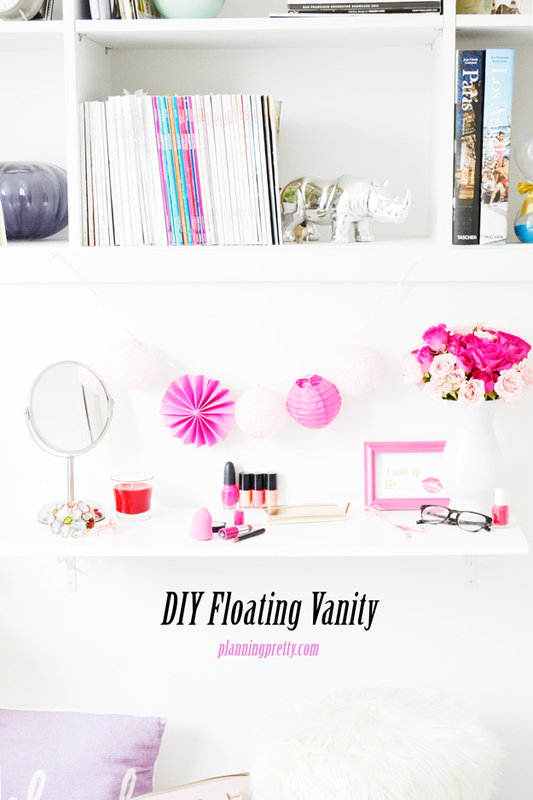 I'm loving that floating vanity DIY project! Reese is so on point. I can't wait to see Draper James develop! Yay for hanging out with your parents and laying by the pool. Love Reese, she is such a fun fashionista to get inspiration from. Love that floating vanity, I may do that in my future home, great space saver and looks clean! Totally thinking that floating vanity would be perfect in our apartment. I hate doing my makeup in the bathroom. Thanks for the ideas! (: Have a fantastic weekend! That floating vanity is so cute, never thought about that before!! And that is Khloe's work out closet??? Just workout???? I am so jealous!!!!!!!!!!!!!!!!!!!!!! I hope you have a fabulous weekend!! You know how strapped I am for space that floating vanity is totally something I need to look into! Love that red dress on you! Love Reese! She looks adorable! That vanity is so cool, love it! Have a great weekend with your parents! I really don't want to meet the kind of person who doesn't like Reese Witherspoon lol. She's one of those people you just have to love! That floating vanity is super cool and never something I would have thought of! Have a great weekend, B! The floating vanity idea is great! I love the concept of this post. I must have been living under a rock because I haven't read anything like this on a blog before. Khoe's workout closet is my fav out of this whole list, her closet will make anyone want to go workout. Thanks for this post it has definitely inspired me! Happy saturday, well I didn't really like that song but...I love your outfit I'm a sucker for polka dots, I have the perfect polka dot shoes for that top, now I'm day dreaming, I hope you saved us all some lobster it looks delicious. XOXO hope you're having a great weekend. I need to try that DIY! Have a great weekend, Biana! Cute photos!! It's fun to see images of your parents! !